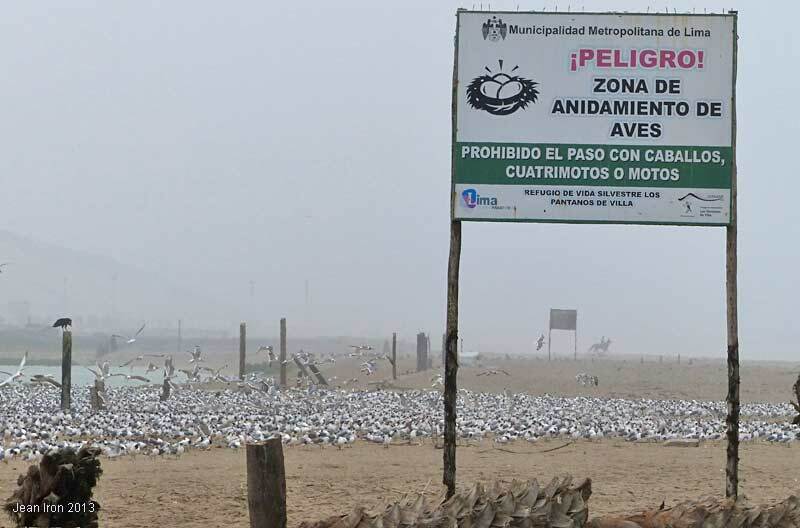 Hundreds, possibly several thousands, of overwintering Franklin's Gulls rest in a protected area on the beach at Pantanos de Villa Reserve in Lima, Peru. 12 November 2013. 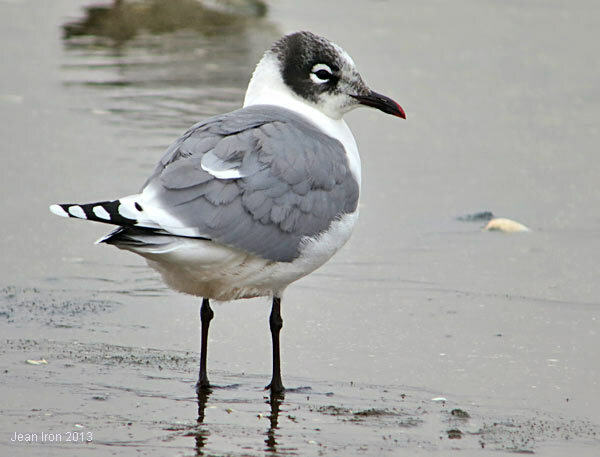 Franklin's Gulls breed on the Prairies and winter south of the equator. Sabine's and Franklin's are the only two species of gulls that breed in North America and winter south of the equator. Elegant Terns were also on the beach with Franklin's Gulls. Pantanos de Villa, Lima, Peru on 12 November 2013. Rudimentary barriers are up and the birds are undisturbed by human activity.